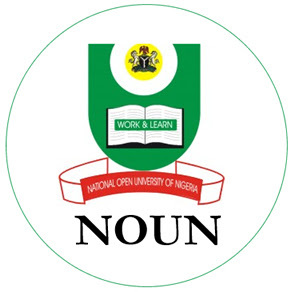 The Vice-Chancellor, National Open University of Nigeria (NOUN) Prof. Abdalla Adamu, says the institution’s Nursing programme has been fully accredited by the National Universities Commission (NUC) and Nursing and Midwifery Council of Nigeria(NMCN). Abdalla made the disclosure in his remark at the First Faculty of Health Sciences Public Lecture held at NOUN’s headquarters on Monday in Abuja. He said that with BNSc. Nursing, B.Sc. Public Health and B.Sc. Environmental Health-fully accredited and B.Sc. Environmental Health resource verified and approved by NUC, the institution needed partnership the Federal Ministry of Health. “NOUN B.Sc Nursing has been fully accredited by NUC and fully accredited Nursing and Midwifery Council of Nigeria (NMCN). “ We are very proud of this achievement and we congratulate the faculty of Health Sciences. “ This event is important for because it provides a window of interactivity with the Federal Ministry of Health; we want to see more facilitators and supervisors from the ministry,’’ he said. In his speech, Dr Osagie Ehanire, the Minister of State for Health, said that the topic of the lecture was apt given that the Universal Health Coverage(UHC), a priority programme of Muhammadu Buhari’s administration, was the news recently. He said that UHC was the result of World Health Assembly Resolution 58.33 of 2005, which urged countries to develop strategies that ensure people had access to needed healthcare services without risk of financial ruin. Ehanire said that UHC was envisaged to provide accessible, affordable and equitable quality healthcare to all citizens, including rural dwellers and the urban poor to enjoy healthier, more productive and fulfilling lives which supports economic growth and social harmony. According to the minister, UHC has regained new global momentum with the World Health Assembly and UN General Assembly calling on member states including Nigeria to scale up effort to reduce poor health indices towards achieving Sustainable Development Goals. He said that it was regrettable that over 70 percent of Nigerians paid for healthcare out of pocket because public funding was sparse, due in part to prevailing economic conditions and low budgetary provision. “A significant flaw in the past was the investment of huge sums in health care without commensurate results. “Looking back, the focus was arguably on input, rather than outcomes, the approach had to change and it did with the `Performance for Result’’(PforR) strategy , introduced to power the `Save One Million Lives’ programmes as a government flagship intervention to improve Maternal and Child Health, through results-oriented partnership with states. “The SOML PforR is based on restructuring flow of resources to pay for results, outcomes, and impacts, rather than simply for processes, or reimbursement of activity costs. “SOML PforR) is a great opportunity to tackle Nigeria’s poor maternal and child health indices; so far, states have been accessing the funds for implementation of their work plans,’’ he said. On his part, the Guest Lecturer, Dr Ibrahim Kana, National Programme Manager, SOML PforR, challenged the academia to step up research on primary health care, adding that the programme was already in partnership with the University of Ibadan. He said that was need for the academia to triangulate government policies- to pick interest in better understanding of Government Policies and relate with realities as well as teaching students about current government policies. Kana urged each department of public health to adopt one primary health care centre per Senatorial District; conduct regular operational research in those facilities; set standard for other facilities to follow and use the centres as laboratories to test new approaches and techniques. Earlier, in her address, Dr Jane-Frances Agbu, Dean, Faculty of Health Sciences, NOUN, said that the title of the lecture and choice of lecturer, were arrived at after a search around important issue of public health interest and best resource person. She said that the title of the lecture was timely considering the fact that the Federal Government had shown empathy and political will in addressing health concerns for majority of Nigerians. Agbu said the government was stimulating access, equity and equality to healthcare and wellbeing. “It is coincidental that the philosophy of Open and Distance Learning shares the same vision as it ensures access and equity for all who seek knowledge in their different endeavors. “This is the prayer of the Sustainable Development Goal (SDG) goal 4. “Achieving Universal Health Coverage which is the yearning of SG+DG goal 3, is an ambitious but achievable target,’’ she said.